There’s no better way to satisfy some summer wanderlust than by taking a hike that includes a visit to a picturesque waterfall. Luckily there are several super close to D.C. worth the short journey (and many of them have swimming holes to beat the heat in). Pack up your gear, bug spray, snacks, a swimsuit, and take a look at 8 hikeable waterfalls that are too fun and refreshing to pass up. 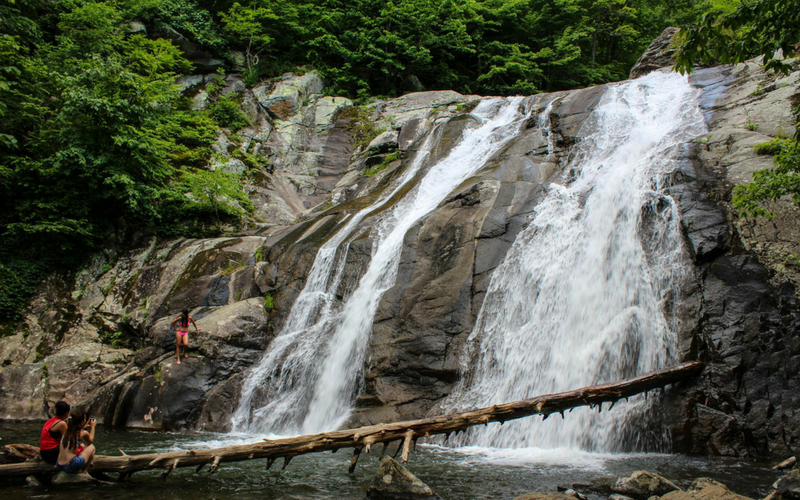 Cunningham Falls is the tallest waterfall in Maryland at 78 feet high. Nestled in the Catoctin Mountains, this waterfall is easily accessible via a variety of trail systems in the state park ranging from .5 miles to 7.5 miles. #FrayLife Tip: Be careful climbing the falls if you choose to do so and watch out for the slick spots. 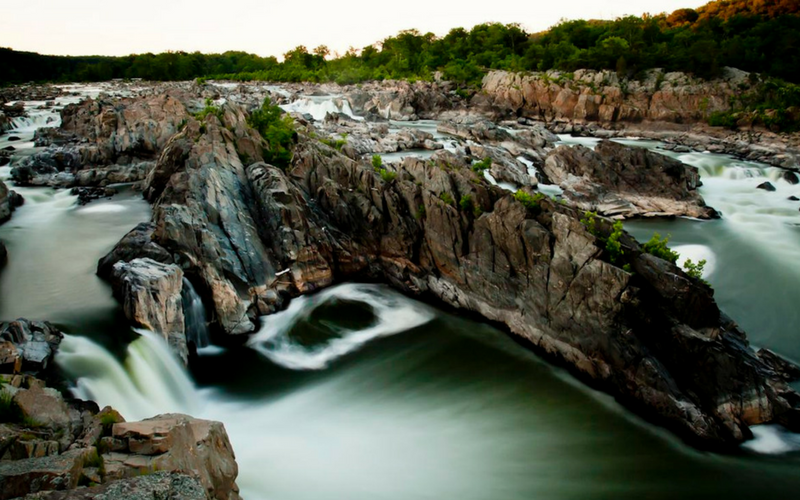 While the raging waterfalls here are the main attraction, Great Falls has over 15 miles-worth of hiking trails throughout the park. Don’t miss the up-close-and-personal view of the falls on the footbridge. 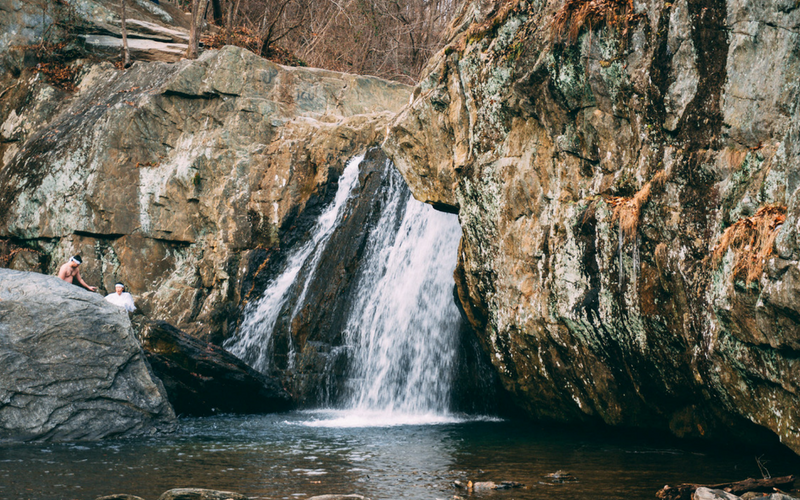 This nature preserve in Fairfax County is just outside the Beltway and is one of the most popular destinations as the closest waterfall to the city. 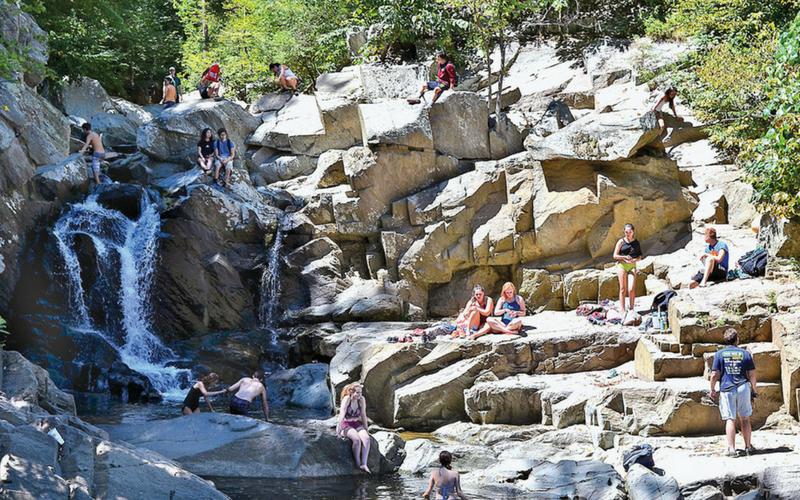 Most people like to take a dip at the foot of the falls on a hot summer day, so pack a swimsuit and towel if you decide to partake in a splashing-good time. #FrayLife Tip: Looking for a place to grab a cold beer after spending the day at Scott’s Run? The Pub is just a 10-minute drive away. 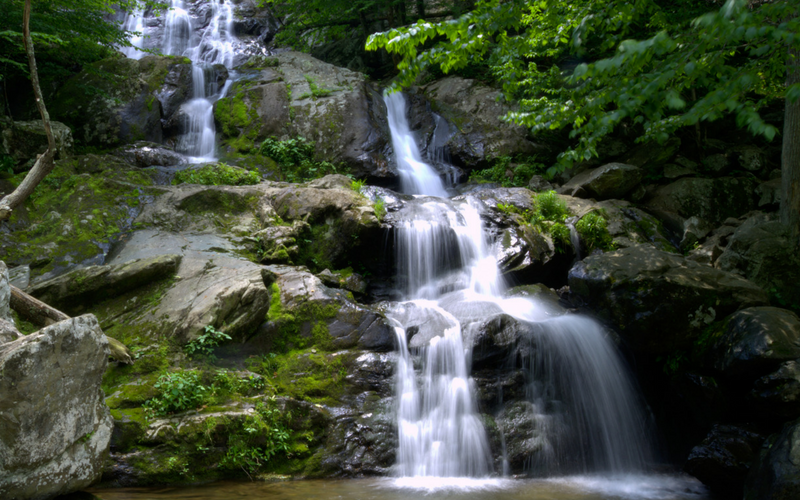 White Oak Canyon has one of the best waterfalls in Shenandoah Park. The trail that leads to the falls accommodates all levels and can be done within four hours roundtrip. There’s a swimming hole at the lower falls, perfect for a cool down before the hike back up. Despite its name, this is not a waterfall that looks like the 90s clothing trend. 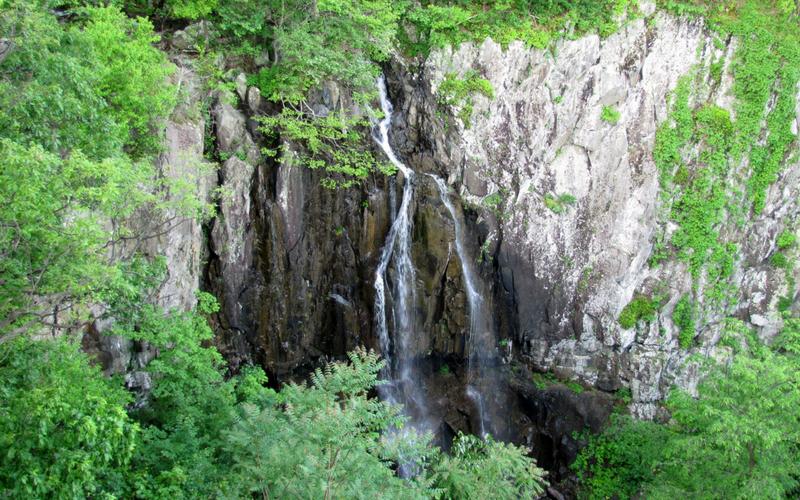 Overall Run is the largest waterfall in Shenandoah towering at 93 ft. The trail is slightly strenuous so come prepared for a workout and bring plenty of water. There are three interconnected swimming holes about two miles downstream that are popular spots to cool off. #FrayLife Tip: Grab a bite after your hike at Elkwallow Wayside concession area just 2 miles away from Overall. Patapsco Valley State Park was made famous by the popular true crime podcast Serial, but don’t let the fact that a dead body was found not too far from here in the 90s deter you from enjoying its natural splendor today. This is an easy hike on Cascade Trail where you can wade in the water and have a swim in the shallow natural pools. #FrayLife Tip: It costs $3 to get into the park. Cash and credit cards accepted. 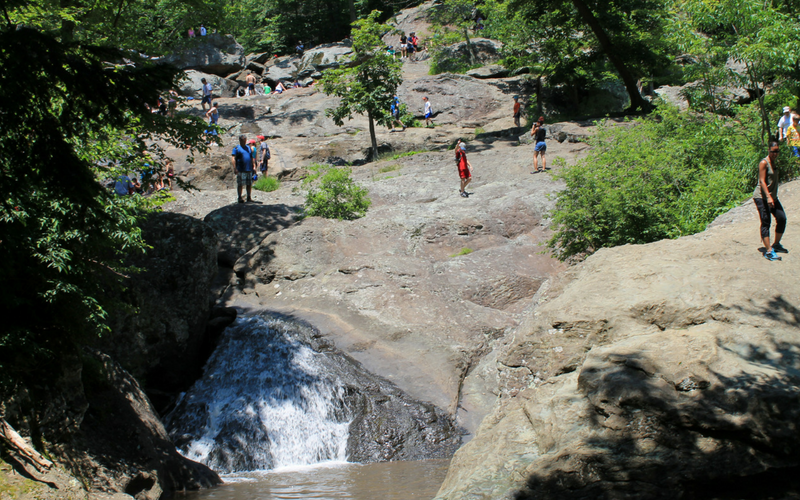 Also known as Kilgore Falls, this is the second highest free-falling waterfall in the state of Maryland. The park is in a non-developed, environmentally sensitive area perfect for a serene hike free from highway traffic noise. There’s a watering hole at the base of the falls for swimming so pack a towel and sunscreen. The trail that takes you to Dark Hollow Falls in Shenandoah is a short but challenging 1.5-mile trek. This waterfall is definitely worth the trip as the tiers in the falls provide a stunning result of cascading water. Are you heading out on a hike soon? Share your trip with us by tagging your waterfall-front selfies with #FrayLife! Want to take your favorite furry friend to your next hiking adventure? Here are some of our favorite pet-friendly hiking trails in DC!